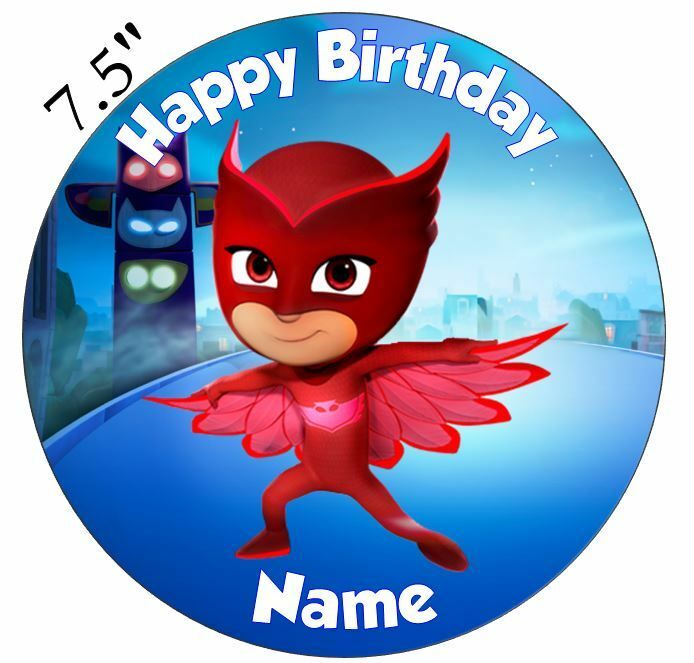 I have just received my personalised owlette icing topper for my daughter's 4th Birthday and I am absolutely delighted with it (and so is she when she caught a glimpse) Great quality,price and it was well wrapped and sealed for freshness!! I Will be ordering again for my son 8th Birthday and highly recommending to friends and family! !